Oh hey there Monday! Gosh for what I thought was a not too crazy weekend, this one sure got away from me! We are working on updating the look of the blog....hoping to have it all completed soon! Cannot believe we are in the last full week of August! Not ready to let go of Summer, so this week we have some Summer favorites on the menu for dinner. 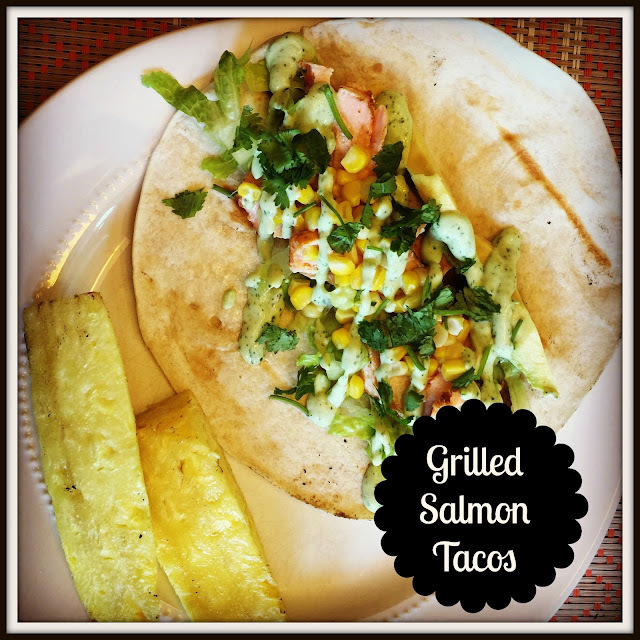 Let's take Taco Tuesday up a notch with these salmon tacos. A simple sauce makes them so full of great flavor.....I'm sure you will add them into your dinner rotation! I love to throw some wraps on the grill. They are a quick dinner idea or you can wrap them in foil and take them on the go. 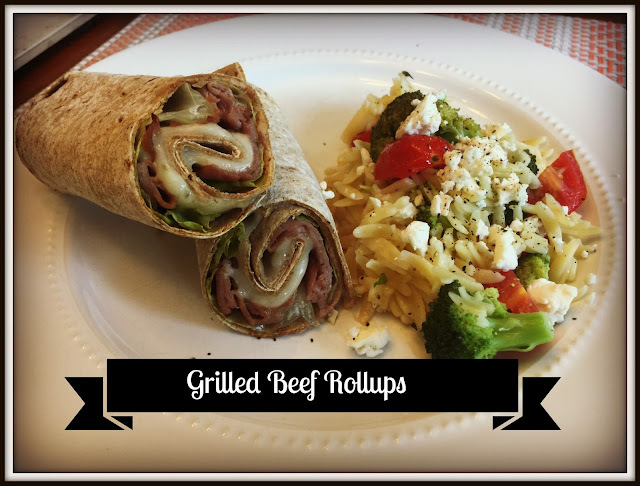 These roast beef roll ups are just some roast beef, lettuce, a thin slice of swiss and some horseradish. I roll them all up ( I like the Flatout wraps) and grill for about 5 minutes. My kiddos are not fans of horseradish, so I just drizzled a little BBQ in theirs. I am a huge fan of zucchini in the Summer and zoodles make it into our dinners on the regular. You can make your own with a spiralizer or a lot of grocery stores sell them already done. Heat up a little olive oil, and saute the noodles for about 10 minutes and season with salt and pepper. They are so good! Add some grilled chicken sausage and a sprinkle of your favorite cheese for a simple dinner. Ending the week with a burger is my favorite!! 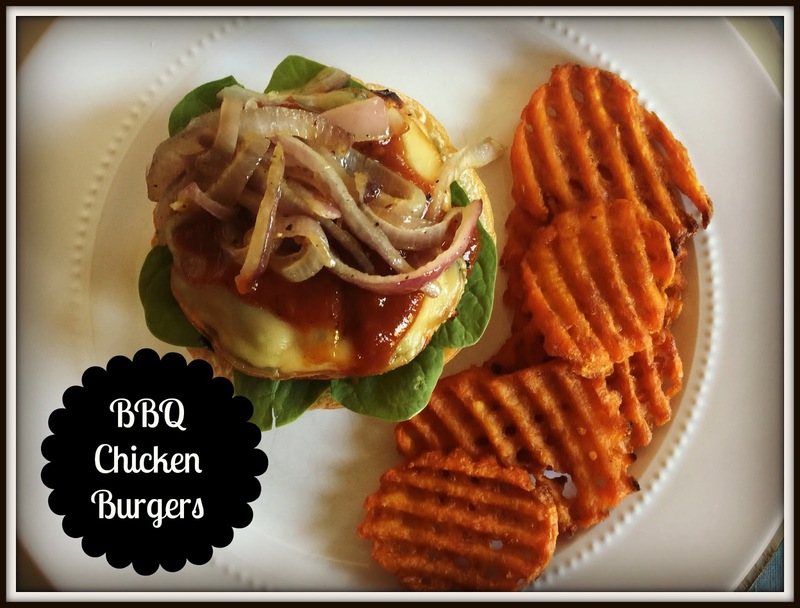 This BBQ Chicken Burger is oh so good. You need to make this one soon! Season 1 1/4lb of ground chicken with 1TSP salt & 1/2TSP pepper and add 2 finely chopped scallions. Form into 4 patties and grill over medium heat for about 6 minutes per side. While the burgers are cooking, saute sliced red onion with some EVOO. When the burgers are just about done, layer a slice of smoked gouda cheese and cooked until just melted. Layer the bun with some fresh spinach, the burger, onions and your favorite BBQ.